Mr. Mahmud is responsible for managing all kinds of secretarial affairs including reporting, documentation, arranging meetings/seminars, liaising with consultants, donors, arranging international workshop/short courses, sending invitation/visa support letters, receiving ICCCAD guests and helping them to settle in Dhaka, giving orientation, developing master guest list. One of his major responsibilities is to support an MSc programme to run smoothly. He is also responsible for budgeting, enrolling vendors, maintaining small funds and purchase. Besides these he also looks after ICCCAD secondary office and two guest houses located at Bashundhara R/A and maintains Director’s schedule. 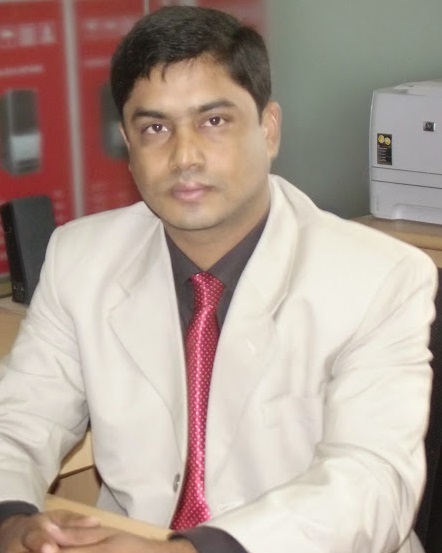 Mr. Mahmud holds an MA and a Bachelor degree in English from University of Rajshahi. Prior to joining ICCCAD, he had been in teaching for couple of years. Just after his graduation, he joined at BRAC (Bangladesh Rural Advancement Committee) as an English language Teachers’ Trainer where he trained the non-government high school teachers how to teach communicative English in the class room. He also supported BRAC – PACE programme by arranging training courses where he acted as a course coordinator. He also received some TOTs while he was in BRAC. His objective is to creating a large international network and keeping the relation updated.